Founded in 2012, the San-Francisco based FinTech company Ripple is a veteran in the blockchain industry. 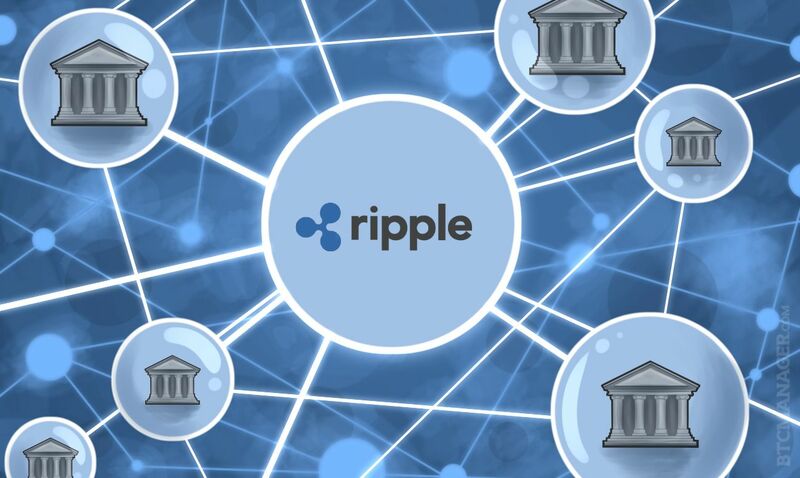 Aiming to improve financial transactions between banks by making them faster, cheaper and more reliable, Ripple has already managed to attract large financial institutions to the Ripple network, including Santander, BBVA and RBC. Just recently, Ripple made another large step in its expansion in Asia by announcing the plans for a new office in Singapore, today’s Asian hub for FinTech innovation. With a seasoned leadership team and the ever growing Ripple network, Ripple’s prospects look promising. Although Ripple offers a disruptive solution for a real problem, a large group of individual blockchain investors hold a grudge against the company. The major problem the blockchain community seems to have with Ripple is the fact that is completely centralized and that they’re aiming to boost efficiency for the global financial system. This is contrary to the beliefs of the die-hard blockchain community that wants to circumvent this (in their opinion) untrustworthy and irresponsible industry bu using cryptocurrencies and blockchain. Ripple’s sole purpose is to make transactions between financial institutions more efficient and has repeatedly stated that they’re not interested in facilitating transactions between individuals. Currently, our global banking system experiences numerous frustrations when making international financial transactions. We, as the bank’s clients, experience this when we transfer funds to parties in other countries as this can take 3 to 5 days. Taking a plane with a bag of money is still faster than most international transactions. However, we only experience a fraction of the issues with these transactions; the majority of these problems are faced by banks. Because financial transactions tend to go through multiple middlemen, there is high failure rate, the process is costly and slow, and there is no coherent global network or structure for these transaction. Ripple aspires to make this process incredibly efficient by using blockchain technology and their own cryptocurrency, XRP. Ripple’s blockchain is currently one of the fastest in the crypto space, with a transaction speed of only 4 seconds. To illustrate how fast this actually is, transactions on the Ethereum blockchain take over 2 minutes and Bitcoin takes over an hour to send around. Adding the fact that both of the latter are facing scalability issues, Ripple definitely is the most efficient transactional cryptocurrency of the three. Moreover, Ripple is scalable in case the number of transactions increase too fast. Currently it can handle 1,500 transactions per second. XRP, Ripple’s cryptocurrency, functions as the digital asset through which international transactions are facilitated. You can see XRP as a bridge currency. Here’s how it works. Bank A wants to send Bank B $1,000,000. Instead of sending the money around, Bank A will buy an amount of XRP that’s worth $1,000,000 and send this to Bank B’s institutional Ripple wallet. Bank B will convert this to the currency they operate in and the transaction is settled within minutes. Banks will not have to buy and sell XRP on an exchange, but will have private access to Ripple’s transaction network. Besides the enormous increase in transaction speed Ripple offers, the cost of these transactions are extraordinarily low and will be paid in XRP. This is done by destroying a very small percentage of the XRP sent and received. This means that the cryptocurrency is subject to deflation, as there are less and less total coins around with every transaction conducted. Therefore the price would increase with every transaction, though it will be barely noticeable in the short run. However, when you are thinking long-term this is something to take into account. Nonetheless, there is one major problem with the amount of XRP in circulation and its price. The amount currently in circulation is only 38% of the total XRP created. At the moment, Ripple still owns 62% of their XRP themselves, which is one of the main concerns of individual investors. Banks demand a stable price in order to properly conduct financial transactions and it has been suggested that this is the reason why Ripple is doing this. However, the real reason for this this has not yet been officially given. By trying to facilitate global financial transactions, Ripple faces a giant named SWIFT. If you have ever made a transaction from your bank to a bank abroad, it is likely that SWIFT was used by the banks to ease the process of this transaction. Currently, over 11,000 financial institutions across roughly 200 countries and territories have been connected by SWIFT to complete bank-to-bank transactions. SWIFT encourages banks to join their network to increase the ease of transactions, which sounds very similar to what Ripple is currently doing. VISA and Deloitte have also been looking at ways to gain market share from SWIFT. All three of these companies announced investments in R&D focusing on blockchain technology to increase the efficiency of transactions and to gain a competitive advantage in this industry. In this regard, Ripple seems to have a head start as their blockchain is already being used and gaining momentum. While screening the Ripple management team, it’s hard not to become impressed by their years of experience in a multitude of industries, mainly focused on FinTech and the financial sector. The resume of its CEO, Brad Garlinghouse, is a good representation of this. He has worked at Yahoo as the SVP of communications, filled several board positions and was the CEO of Hightail. Interestingly enough, the global head of strategic accounts, Marcus Treacher, used to be on the board of SWIFT, the market leader in the industry Ripple is trying to penetrate. Besides the seasoned leadership, Ripple currently has over 160 employees, making it one of biggest blockchain employers. Looking at the growth of Ripple and the combined experience of its upper management, the team seems rock solid. A number of large financial institutions are already members of the Ripple network and the size of the network continues to increase on a regular basis. Well-known banks like Santander, Reisebank and RBC are examples of these large members of the network. Besides the network, Ripple has some respected investors looking out for its future too. The venture capital investment group of Google supports Ripple financially, as do Accenture, Andreessen Horowitz and Seagate. With backing like this, you can tell it’s serious business. Blockchain investors have quite opposing opinions concerning Ripple. It seems like you either love or hate it. Why people love it is quite simple: it offers a proven solution for a real and global problem. However, the dislike of Ripple and its operations does have some substance. The first argument against Ripple is that the company still owns 62% of all XRP. The real reason for this is still unclear but it puts Ripple in a position in which they can easily manipulate the price to their liking. Another issue with Ripple is that it’s centralized. This angers a lot of blockchain enthusiasts as blockchain is a way to decentralise the world, letting no one party control all data and accounts. Be that as it may, it makes sense that a cryptocurrency facilitating bank-to-bank transactions is centralized as banks like control and accessibility to the history of all transactions. This does oppose anonymity and ownership of your own information, which is a key feature that most of the popular financial transaction crypto’s share. Finally, the most widespread argument against Ripple is that they cooperate with the “enemies” of blockchain ideology: governments and financial systems. Employing blockchain technology for exactly the opposite of what, for example, Bitcoin stands for (namely, no central powerhouses and more control and privacy) has created a serious dislike for Ripple, no matter how useful their technology is. You can learn more about some of the concerns with Ripple here. To Invest or Not to Invest? All in all, Ripple and their XRP cryptocurrency are subject to a great deal of argument both in favor of and against. it However, their target market and technology are solid. Betting against the banks never seems like a good idea, but heavy competition is to be expected. Why would banks use the cryptocurrency of an external company when they are able to create their own blockchain internally? Visa simply can’t be ignored when talking about financial transactions between banks and it’s unlikely that they will not come up with a counter strategy. Nonetheless, the Ripple network is impressive and expanding. The highly skilled leadership gives confidence to a sound vision and strategy. Price manipulation may occur and there are plenty of committed naysayers to Ripple, but who needs individual investors when you have the support of big players in the financial system.